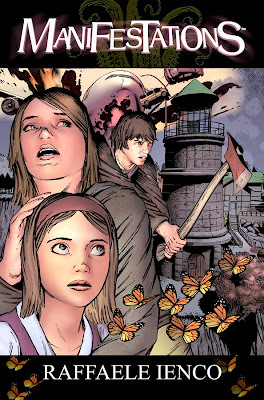 As announced at San Diego Comic Con, Image Comics and Top Cow Productions will release their first-ever exclusively-digital graphic novel, MANIFESTATIONS this August through comiXology. MANIFESTATIONS, created, written and drawn by critically acclaimed author Raffaele Ienco (DEVOID OF LIFE, EPIC KILL), is a self-contained full color supernatural thriller. Alice Rackham is a quiet shy girl of ten who, within her tiny frame, holds a powerful secret... if she concentrates hard enough she can reach into "the dark place" and return the spirits she finds there back to the land of the living. Sometimes, it's a recently passed loved one or pet she finds... but other times it's something horrible... something that doesn't belong among the living. Something that wants to take Alice and her mother to the darkness of the grave... forever! "I'm a big fan of supernatural thrillers like The Sixth Sense, so I really wanted to create a graphic novel with great twists and turns that keeps the reader guessing, where you don't want to put the book down because you just want to read one more page,” said creator Ienco. In addition to the digital comic, Top Cow and Content House are currently co-developing MANIFESTATIONS as a feature film. "What I love about Raff's work on Manifestations is that he has created these great characters that I truly care about and then he constantly puts them in situations where I have no idea how they are going to survive,” said Josh Morris of Content House. 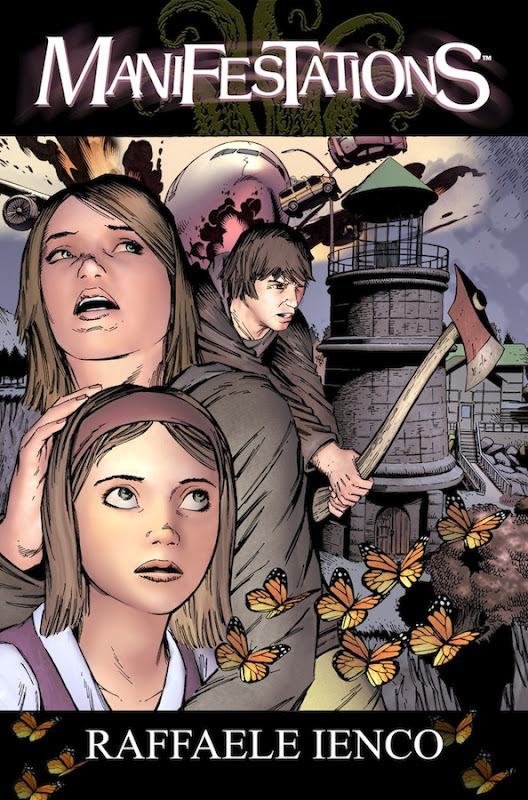 "With Manifestations Raffaele tells a dark tale but it unravels in an inspiring, hopeful way," added Top Cow President Matt Hawkins. "I'm a huge fan of Ienco's work on Epic Kill and am really excited to be working with the guys at Content House on this project." MANIFESTATIONS is a 126-page full color OGN for $4.99 and will be exclusively sold online exclusively at comiXology, starting on August 29.